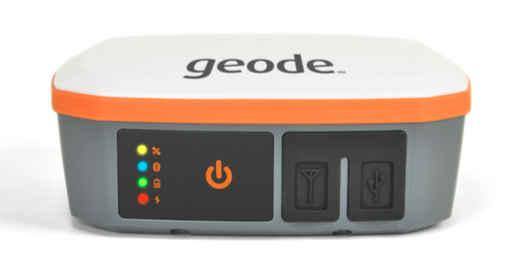 Today, we’d like to introduce to you… the Geode™—our new real-time, sub-meter GNSS/GPS receiver! This compact, all-in-one receiver collects precise location data, without the huge price tag or complexity of other precision receivers. We designed it with an emphasis on simplicity so you can start collecting data at the touch of a button. 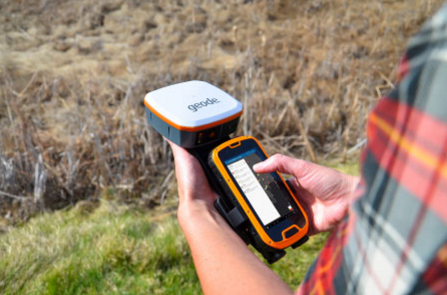 The Geode is also highly versatile, and will connect via Bluetooth with Juniper Systems’ rugged handhelds, or any other Windows®, Windows Mobile, or Android ®device. Speaking of versatility, the Geode can also be carried in a number of different ways. It can easily be carried in-hand, in a pack, or mounted on a pole, depending on your specific use case and what your individual needs are. And of course, the Geode doesn’t compromise on ruggedness. It features IP68-rated protection against water and dust, and operates in extreme temperatures, providing reliable performance wherever you need to collect data. The Geode will be available soon! Check it out on our website, or sign up for our upcoming webinar on June 16th to learn more. Register here. Does the Geode software integrate with IPADs or Apple mobile devices?